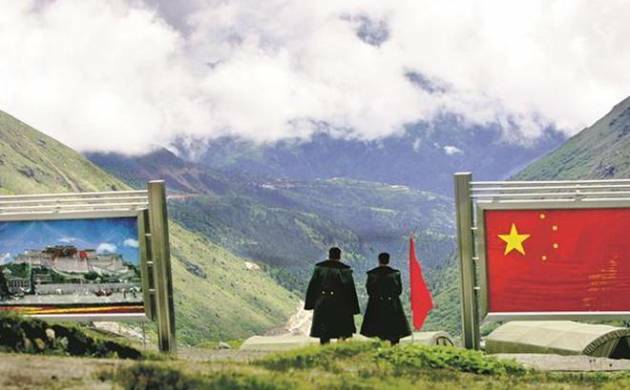 India’s objection to China building a road in the Sikkim sector ahead of Prime Minister Narendra Modi’s visit to the US was aimed at demonstrating to Washington its “firm determination” to “constrain” China’s rise, an article in a state-run daily said on Monday. “Modi took two measures to brace for his meeting with Trump. The first one was to seal a weapons deal with the US. For America, the weapons deal will not only reap enormous monetary gains from India, but also strengthen India’s advantage in the Indo-Pacific region to check China,” the article in the Global Times said. “The other measure aimed to demonstrate to the US India’s firm determination to constrain China’s rise,” the article written by Liu Zongyi senior fellow of the state-run think tank, the Shanghai Institutes for International Studies, said. “For example, Indian troops crossed the undisputed Sikkim section of the China-India border and impeded Chinese workers from building roads a few days before Modi’s visit to the US,” it said on the ongoing stand-off in Doklam. In addition, the Indian government has started an anti-dumping probe into Chinese products, the article said, adding the Modi administration sought US support at the cost of China-India ties and has taken a lead in containing China’s rise. As per the Ministry of External Affairs statement in New Delhi, the Doklam incident took place on June 16 whereas Chinese Foreign Ministry has maintained that the stand-off in which the Indian troops objected to the People’s Liberation Army soldiers’ building a road occurred on June 18. Modi had visited US from June 25-27. Ahead of the visit, US President Donald Trump had approved the sale of 22 Guardian MQ-9B drones for India. Apart from the territorial dispute, India announced that it would initiate an anti-dumping probe against high tenacity polyester yarn from China, the article said. “Because the border face-off and the announcement of the anti-dumping probe occurred around the same time as Modi’s two-day visit to the US, people link India’s bravura with the Modi-Trump meeting,” it said. The daily also downplayed Modi’s visit, saying it was “not a historic event, as some media outlets in India boasted, because of the limited results the meeting has achieved.”At the same time, it noted that Modi has established a “relatively harmonious” relationship with Trump. “Both of them made keynote speeches to praise each other and did all they could to avoid touching on disputes between the two countries,” it said. “The two countries have aligned their interests in defence cooperation and counter-terrorism. The US supports India to counterbalance China, but tries not to offend China as Trump still needs China’s help on many issues,” it said. About US designating Hizbul Mujahideen leader Syed Salahuddin as a “global terrorist”, the article said it accords with the “US view that Pakistan is a source of regional disputes, rather than a catalyst for dispute settlement”. “Such an approach that separates the India-Pakistan dispute with the Afghan issue is likely to trigger more hassles,” it said. “Although Modi didn’t mention the existing problems in India’s ties with the US, Trump reminded him of protectionism in trade and investment in India that jeopardises US interests,” it said.